Teenagers crave independence to travel with friends. If you feel like it’s time to help your child develop that independence, then it may be time for them to take a weekend trip without you. Preparing for such a trip can create quite a bit of anxiety, especially for the parents. 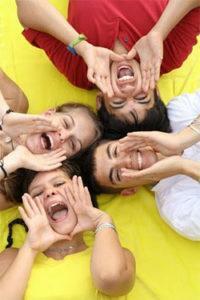 Here are some tips to help you prepare for sending your teens on a trip. These tips will ease you into the experience, and will hopefully reduce any resulting concern. You can book and prepay for lodging and travel in advance to cut down on the amount of money or credit that your teen needs to take with them on their trip. If they are travelling abroad, you will also want to help them get some of the local currency in advance so they are able to cover immediate expenses like their taxi ride from the airport to their first destination. If your teen will be utilising a debit card to get cash, take time to teach them about how the system works. Encourage them to get enough cash for several days at a time to cut down on transaction-based fees. Before your teen leaves for their trip, be sure to set up online access to the financial accounts and credit cards that they will be utilising. This will help you detect if they are being irresponsible with their (or your) funds. You will also be able to detect where they are by following their spending. This is especially important if they are travelling without an adult or with an adult that you don’t know. Tell your teen in advance that you will be monitoring their spending. This will act as a deterrent to any off limit behaviour. Provide your teen with a cell phone that they can use when they are away from home. This will help you get in touch with them at any time, and likewise for them. If they are in an emergency, they will have an easy way to contact you and any proper authorities. If your child is going abroad, you can ask your existing wireless carrier regarding international phone options. You can also look into buying a cheap international phone just for the trip. This is also the perfect opportunity for you to take the plunge into social networking, as many teens feel most comfortable communicating with others via Facebook or MySpace. This will enable you to see the pictures they post so you can stay on top of their travel without feeling like an interfering parent. Prior to any trip, sit down with your teen and let them know your expectations. Explain to them why the rules you lay out are important to you. Be sure to also ask your teenager what their expectations are and if they have any concerns. Help them plan out solutions to any scenarios that they are unsure about so they will feel prepared should they get into that situation. You should also take the time to cover any laws that your teen may be unfamiliar with. This is especially true if they will be travelling to a different state or country. Getting on the same page and explaining laws will help ensure your teen’s trip goes smoothly and they are able to maintain their independence for future trips. Daniela Baker the author of the “Travel tips for sending teens on a trip” is a blogger at the travel enthusiast. She is also a mother of two looking forward to enjoying summer with her kids.